The Pentecostal Assemblies of Canada was first introduced to Regina in 1930. 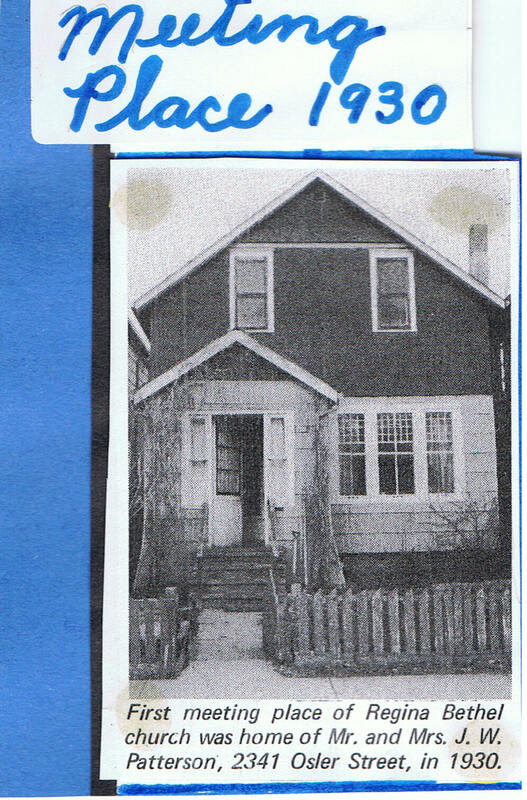 The first meeting place of Regina Bethel Temple was at 2341 Osler Street at the home of Mr. & Mrs. J. W. Patterson. Rev. 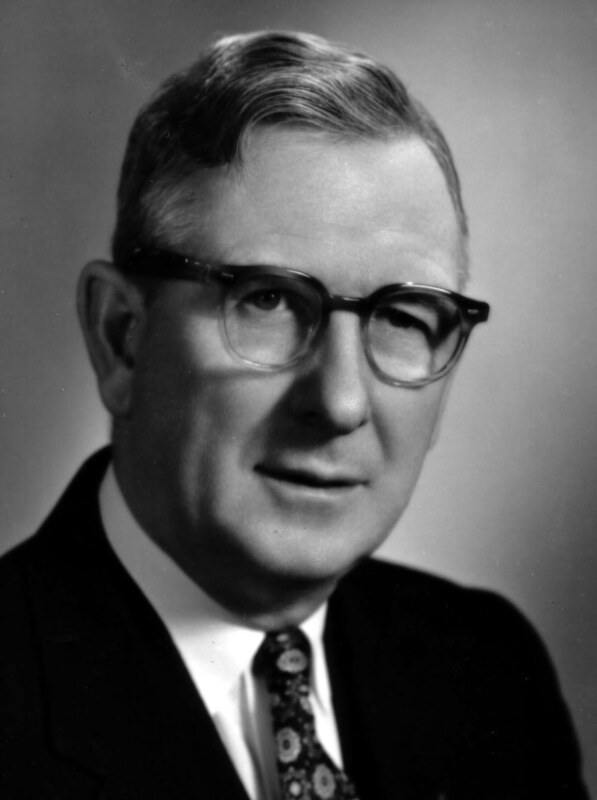 Walter E. McAlister seen in the photo presided over the services. During the next decade the Church met in various rented halls. Early in the 1940’s the congregation purchased their own church building at 1500-15th Ave. under the pastoral leadership of Rev. C. B. Close. As the 40's closed (1949); under the direction of Rev. H. H. Barber a new church building was erected at 2070 Broad Street. In 1964 during the ministry of Rev. 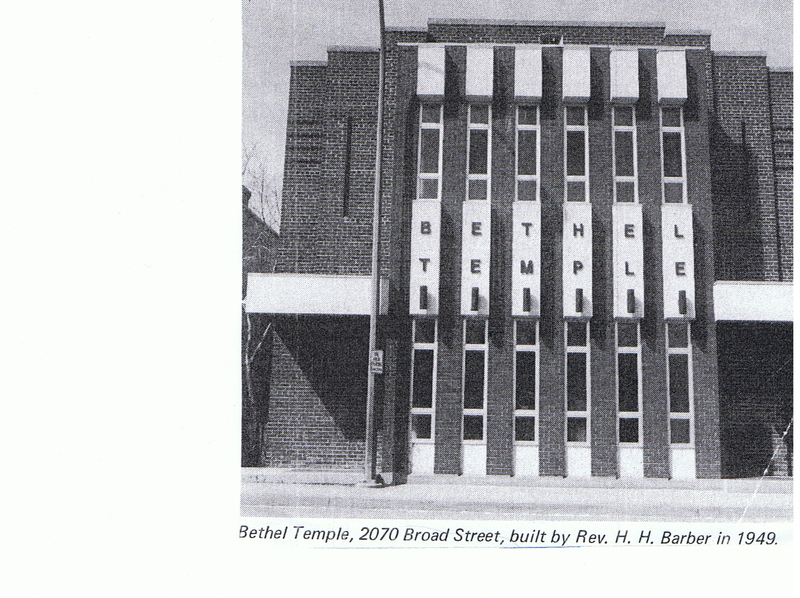 M. S. Yuke a second congregation was established by Regina Bethel Temple in the north section of Regina. This second congregation became known as Avonhurst Pentecostal Tabernacle and continues under this name. 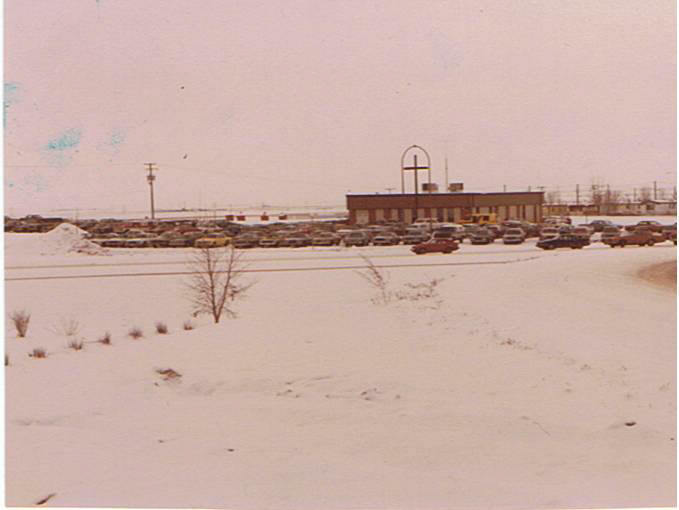 After a lot was purchased in 1980 at Albert Street South and #1 Highway the building on Broad Street was sold. Rev. Roy Kemp and congregation adopted the new name of Southside Pentecostal Assembly; (presently referred to as THE SPA Regina.) The congregation met in rented facilities until the commencement of the new facility in 1982. Under the direction of Rev. Calvin King, Phase 1 of this new facility was dedicated to the glory of God in early 1983. Phases 2 & 3 were completed in succeeding years. With blessings often comes adversity. 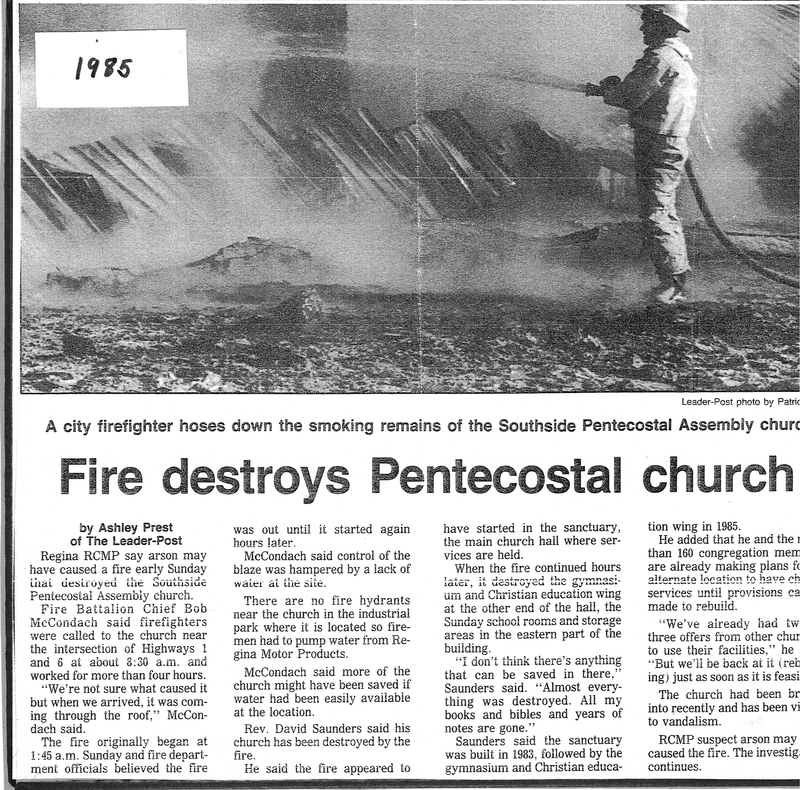 In the spring of 1987 the building was destroyed by fire and while this was devastating to the congregation, no services were missed. The following week the congregation of Southside Pentecostal Assembly met in the Wesley United Church in response to the gracious invitation of the ministers and congregation of that church. In September 1987 the congregation purchased the former Birchwood School at 41 Birchwood Road and commenced services there in October 1987 under the leadership of Rev. David Saunders. THE SPA Regina continues to meet at 41 Birchwood Road where all are invited and welcome!